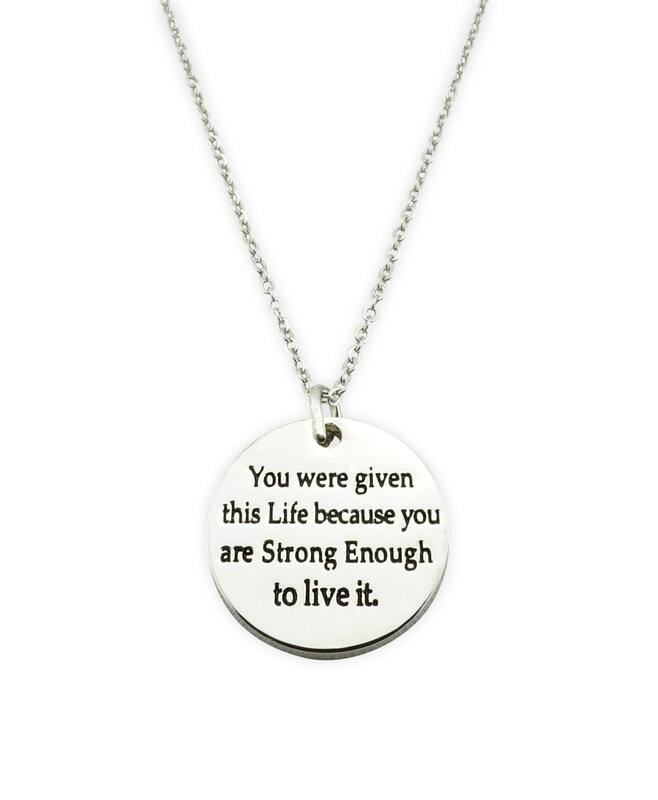 This necklace features the motivational phrase "you were given this life because you are strong enough to live it." The disc measures approximately 1 inch in diameter and is a nice, solid piece. It is composed of a white metal alloy that is polished to a beautiful shine, and comes on an 18" chain.